Fall is in the air, and one of my favorite things is fall scents. 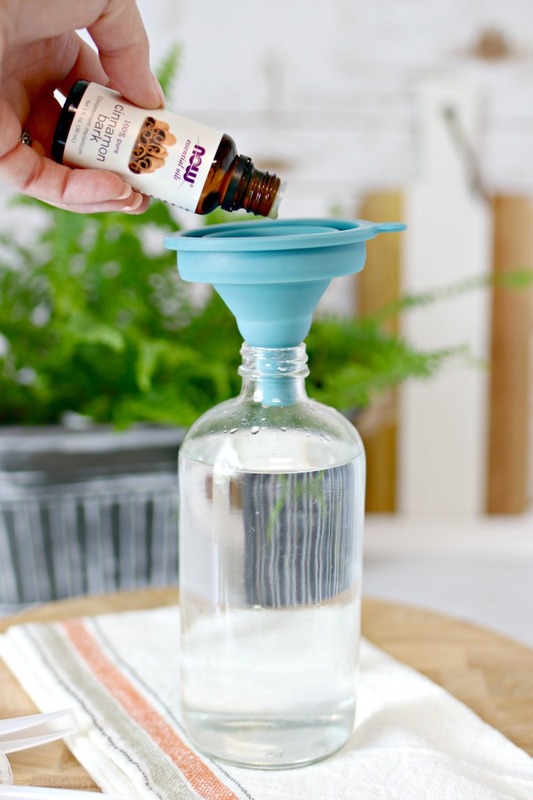 This year I’m ditching the store bought, chemical filled air fresheners and replacing them with this DIY Fall Air Freshener with Essential Oils. It smells amazing and you can make it at home with just a few non-toxic ingredients! This post contains affiliate links, which means if you purchase a product using one of these links, I will receive a small commission. Fall is by far my favorite season. I covet the cool air after hot humid summers, and I absolutely love the return of pumpkins, mums, college football, tailgates, sweaters and cool nights around our fire pit. For years, I would run to the store to buy up all of the pumpkin and fall scented candles and air fresheners I could carry at the first sign of fall, but after doing tons of research, I just don’t feel great about them any more. The chemicals used to make most of these scents can be extremely toxic, and y’all know that I love all things natural. If you are new here, then you must check out all of my DIY Natural Cleaning Recipes and Tips HERE! 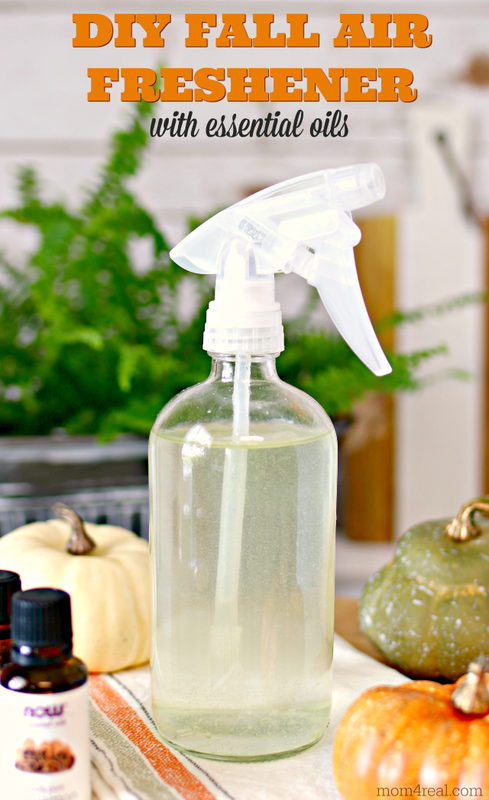 This is the first time I’ve made a fall scented air freshener, and I have to say…I LOVE it! It’s the perfect scent to freshen and deodorize your home with if you are craving the smells of fall! What’s in Homemade Air Freshener? WARNING: Essential oils can be toxic to cats and dogs. Please consult your veterinarian before using any essential oils around your pets. How do you make DIY air freshener? 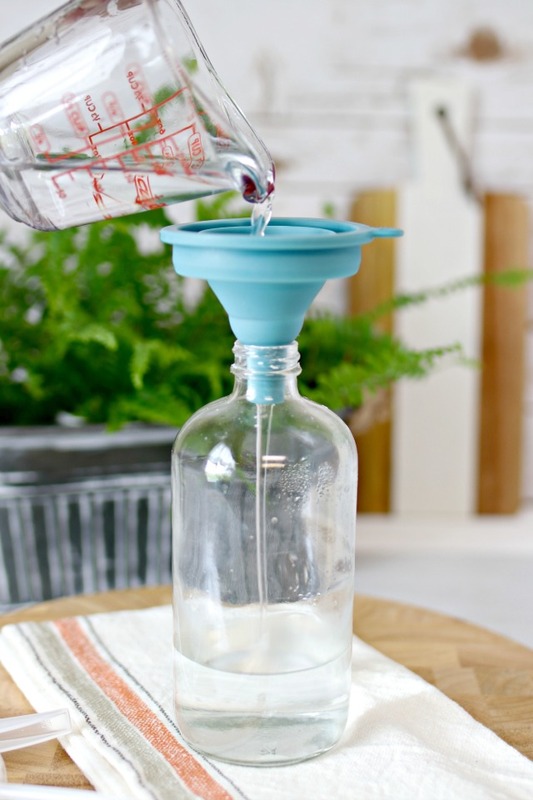 For the fall version of DIY air freshener, start by adding 1 cup of water to a spray bottle. 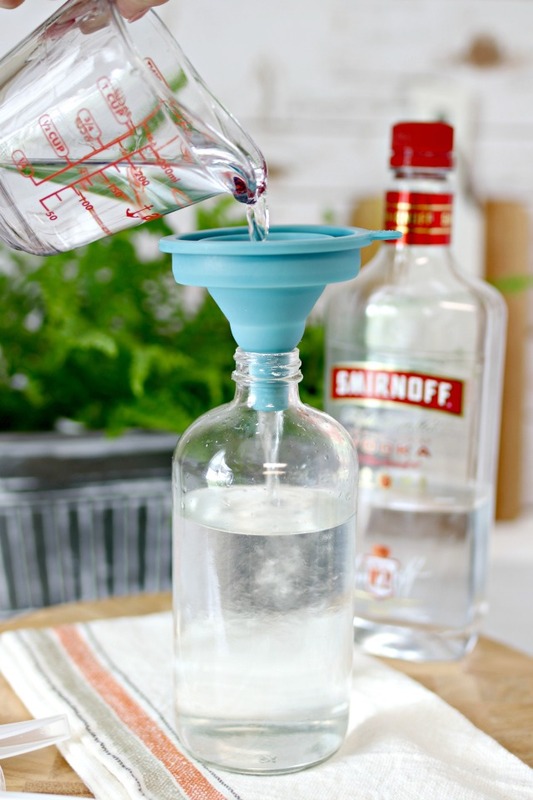 Next, add 1/2 cup of vodka to your spray bottle. Vodka is an amazing cleaner and antibacterial agent, but it also works well to blend the essential oils with the water in air fresheners. You can use any grade of vodka you like, and there will be no vodka smell when you spray the air freshener. To finish your air freshener, add 10 drops of cinnamon essential oils, 10 drops of orange essential oils and 5 drops of clove essential oils. Replace spray bottle lid and shake well before using! 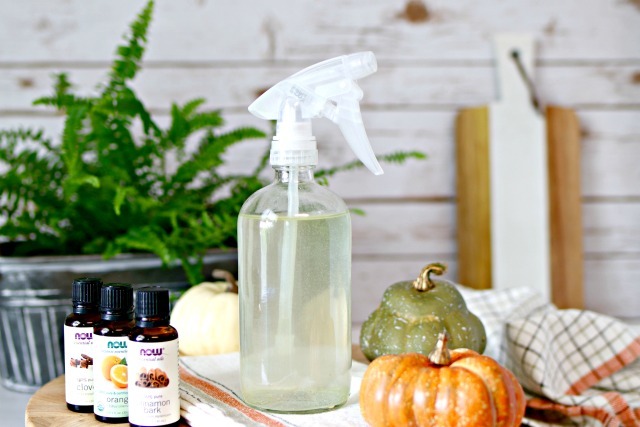 This fall scented air freshening spray will cut through odors and leave your home smelling like fall. Just spritz around your home and enjoy! It’s easy to make and would make a wonderful gift for a teacher, friend or family member paired with a cute fall tea towel and mini pumpkins! 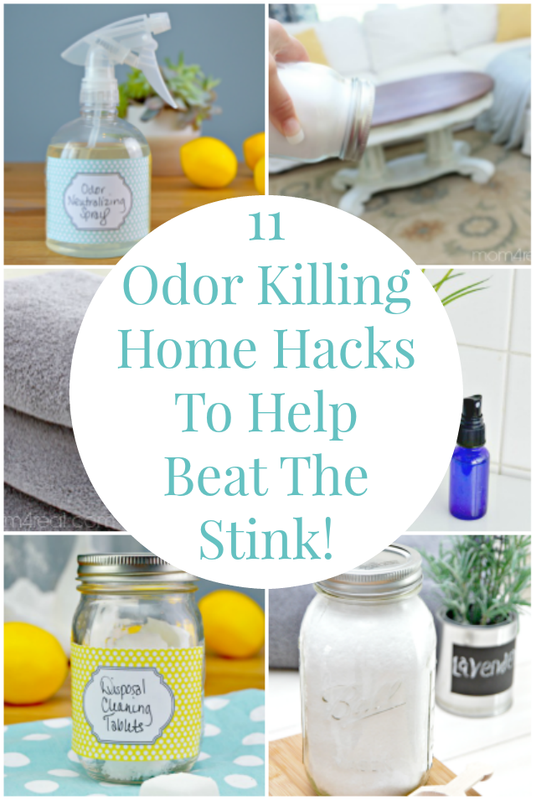 Check out these 11 Odor Killing Home Hacks to Help Beat the Stink! 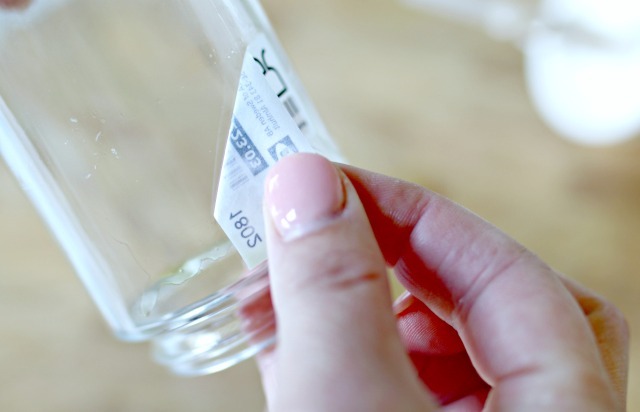 You have to see my favorite hack for Removing Stickers, Price Tags and Label in Seconds! 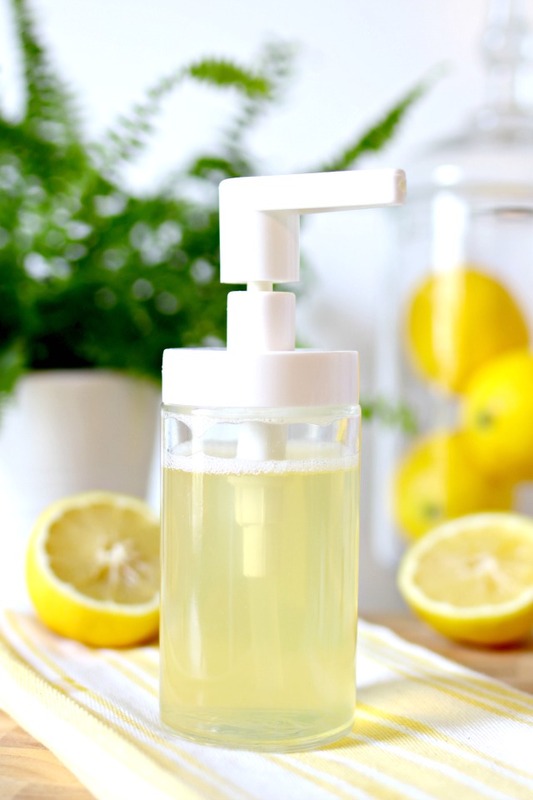 Make Your Own Scented Hand Soap with Only 3 Ingredients and never buy the expensive stuff again! I hope you love these easy, non-toxic ideas! Be sure to stay in the loop and get my ideas as soon as I share them by signing up for my emails below! Can this be used as a reed diffuser instead of a spray? I don’t see why it couldn’t!